Phyllis L. Tingler Harriman, age 92, passed away on Sunday, September 9, 2018 at St. Francis Hospital, Tulsa, Oklahoma. Phyllis L. Gourley was born on August 9, 1926 in Caney, Kansas. She was the daughter of Emmett Warren Gourley and Blanche Eloise (Caffey) Gourley. Phyllis grew up in Caney and graduated from Neodesha High School in Neodesha, Kansas. After graduation, she was employed with Phillips Petroleum Company in Bartlesville, Oklahoma. Phyllis and Jack L. Tingler were married on June 29, 1946 in Caney, Kansas. Phyllis and Jack lived in Oklahoma City, where they had two children, Gary and Ray. They were transferred to Grants, New Mexico with Phillips 66 and eventually back to Bartlesville. In her career, Phyllis worked at Russ Rogers Chevrolet and Metal Goods Manufacturing in Bartlesville. Mr. Tingler preceded her in death in 1989. Phyllis later married Lester W. Harriman on October 5, 1996. Phyllis and Lester enjoyed traveling to Panama, Canada and Alaska. Mr. Harriman also preceded her in death in 2014. 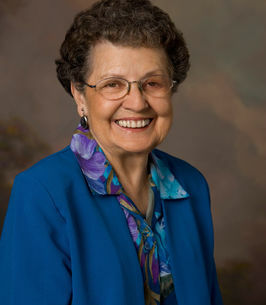 Phyllis was a member of the Good Shepherd Church of Bartlesville and also of the Oklahoma CattleWomen, Inc. She was a wonderful wife, mother, grandmother, great-grandmother and friend. Survivors include her sons, Gary L. Tingler of Bartlesville and Ray W. Tingler and his wife Teri, of Tulsa, Oklahoma; grandchildren, Trinidy Roecker and her husband, Michael, of Houston, Texas, Adam Tingler and his wife, Sarah, of Tulsa, Oklahoma, Joshua L. Tingler of Piedmont, Oklahoma and Erika Williams of Bartlesville; great-grandchildren, Peyton Oppy, Chloe Roecker, Ella Roecker, Piper Roecker, McKenna Tingler, Dylan Tingler, Presley Williams and Karson Williams; sister, Sondra Farris and her husband, Rollie, of Oklahoma City; and brother, Franze Gourley of Wichita, Kansas. Phyllis was preceded in death by her parents; husbands, Jack Tingler and Lester Harriman; and brother, Moine Gourley. A “come and go” visitation will be held on Thursday, September 13, from 9:00 AM -8:00 PM at the Arnold Moore & Neekamp Funeral Home, 710 S. Dewey Ave. Family will be present to greet friends from 6:00 PM- 8:00 PM. A graveside service will be held on Friday, September 14, 2018, at 2:00 PM at Memorial Park Cemetery, Rev. Dale Scott will be the officiant. In lieu of flowers, contributions to the American Diabetes Association would be appreciated. 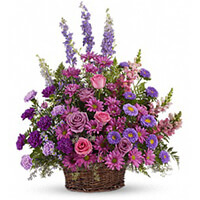 To send flowers to the family of Phyllis L. Tingler Harriman (Gourley), please visit our Heartfelt Sympathies Store. Additional Information	Family on hand to greet friends, Thursday, 6-8 p.m.
My husband and I would like to express our sincere sympathy to the family and friends of your beloved Phyllis. Although we hadn’t had the opportunity to meet Phyllis personally, we do understand the pain of losing one so dear. We would like to share with you comfort we have experienced from Gods word found in 2 Corinthians 1:3,4. Our Heavenly Father is truly a wonderful source of comfort, he is always there for the broken hearted and those crushed in spirit. ( Psalm 34:18, Psalm 83:18) Please take a few moments, share your memories with those who surround you, for the memories shared are the ones most truly cherished, may they bring you comfort and peace as you begin to heal. Take care of yourselves and each other during this very difficult time. I worked with Phyllis at Metal Goods for many years she was a very sweet lady. So sorry for your loss. We are so sorry to hear of Aunt Phyllis's passing. There was never a dull moment visiting your house. Horses, mules, dogs, pigeons, raccoons! With our deepest sympathies.